Following the release of Office Mobile for iPhone, Microsoft has launched Office Mobile for Android. The cloud-based version of Office, which is available to users in the US, will be free to people who already subscribe to Office 365. 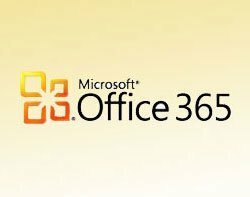 This means that Office 365 subscribers can now work on their Word, Excel and PowerPoint documents from virtually anywhere, using their Windows Phone, iPhone or Android handsets. Available from the Google Play Store, the app is available to users with a qualifying Office 365 subscription, including Office 365 Home Premium or Office 365 ProPlus. Microsoft said more countries will gain access in coming weeks. The app enables users to view and edit Word, Excel and PowerPoint documents in the cloud on SkyDrive or SkyDrive Pro. Microsoft said it synchronises with a PC, so that documents edited on a computer are available in the Recent Documents panel. Users can also view and edit documents received as email attachments.